Put-in-Bay Information and questions answered! Put-in-Bay Information and the most frequently asked questions answered! When travelers plan to Visit Put-in-Bay Ohio, we receive many questions and inquiries and below are the most common ones. If your questions are not answered here just e-mail us. What do I need to bring for my stay in a rental home? Do your properties have a minimum stay? How do I get to Put in Bay Island? Should I bring my car to the island? 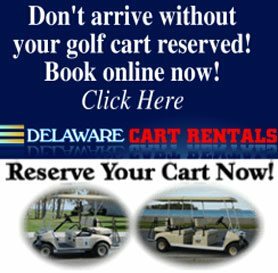 Do I need a driver’s license to rent a golf cart? How old do you have to be to rent a moped? Can I bring alcohol to my hotel room or rental home? Which entertainers are playing when? Do I need reservations for the ferries? Is there a grocery store on the island? How many people live on the island year round? How do you get to the island in the winter? Bring any items you may need, such as: paper plates/cups, utensils, paper towels, etc. Generally, rental homes do not come with linens or towels. There is no need to bring beer, ice, groceries as these items are available on the island. We do not have a liquor store at Put-in-Bay. Our Put-in-Bay Hotels and Resorts operating season begins April 1 and ends Halloween weekend. The island welcomes winter visitors for Perch and Walleye ice fishing. The two Put-in-Bay Ferry Boats are both about a 25 minute drive from Sandusky Ohio where Cedar Point is located. Both Ferry boats offer ample parking for your car while you Visit Put-in-Bay Ohio. For additional Put-in-Bay Information in the ferry schedules check their website. Schedules vary by time of the year. How far in advance should I make my Put-in-Bay Hotel or Resort reservation? Put-in-Bay Hotels and Resorts book up very quickly, especially for weekend stays. Most hotels and Resorts begin taking reservations a year in advance so it is suggested that you make your reservation as early as possible. Call us at (888) 742-7829 or visit our accommodations page to book a property. The Jet Express and Miller Ferry both run from the mainland to the island. For more information, check out our Put-in-Bay Ferry page. Weather at Put-in-Bay will generally be the same as larger cities along Ohio’s north coast like Cleveland and Toledo. We suggest that you bring light jacket or sweater in the fall and spring. If you would like Put-in-Bay Information on the weather forecast, our zip code is 43456. Don’t forget that no matter the weather outside, it’s always warn and never rains inside our great restaurants and bars! We strongly recommend that you do NOT bring your car to Put-in-Bay. Besides the hassle of getting your car to the island – including paying for it to go on the ferry and waiting in line for up to three hours to get it on or off the island- the parking is very limited on the island. Once you get to the island, a car isn’t even really necessary. Most attractions are within walking distance, but there are also plenty of taxis and buses that will take you anywhere you need to go. When you Visit Put-in-Bay Golf Carts are available to rent and are the most common method of transportation. Put-in-Bay Golf Cart Reservations are suggested and may be made on line in advance of your trip. Yes! Golf carts are treated as licensed motor vehicles on the island. This also means that all driving laws apply, including open container laws and drinking and driving. If you are under 18 but have a valid license, a parent or guardian can rent a cart for you to use. Put-in-Bay has a wide variety of dining options to choose from. For a more complete description of dining options visit our Put-in-Bay Restaurants page. Most places close around 1:30 a.m. For late night, visit Mr. Ed’s, The Brewery or Level 2. NO! Ohio law and Put-in-Bay laws prohibit open containers of alcohol outside of a liquor establishment. This includes on a Golf Cart! Yes. All the rentals featured on Visit Put-in-Bay allow you to bring beverages to your own hotel or resort room or rental home. There is no liquor store on the island, but beer and wine can be purchased at Put-in-Bay carry out stores for prices that are comparable to those on the mainland. Check out the Put-in-Bay entertainment page for information on what bands and entertainers are playing on the dates of your visit. Put-in-Bay Docks are available on a first-come, first-serve basis for boat dockage. Visit our Put-in-Bay Dockage page for additional information. As a passenger no as the ferry boast can move as many as 300 people each trip. If you plan on taking your car across, reservations are suggested. This is not a good idea! Last-minute lodging can be difficult – if not impossible to find. We suggest buying your return trip ticket when you purchase your ticket to Put-in-Bay. Yes! There is a full-service grocery store and carry out store on Catawba Avenue next to the Beer Barrel Saloon and a drive-through beverage store that has beer and wine on Hartford Avenue next to the Boathouse Bar and Grill. There are about 480 to 550 full-time residents of Put in Bay. When the ferryboats aren’t running, there are several charter airlines that fly in and out of Put-in-Bay airport. In some winters, the ice is thick enough for for snowmobiles, 4-wheelers, or modified cars to drive across the lake.